Any food may cause an allergic reaction, but 90% of food allergies in children are caused by just 6 common foods or food groups—milk, eggs, peanuts, tree nuts, soy, and wheat. In adults, a similar percentage of serious allergies are caused by just 4 foods—peanuts, tree nuts, fish, and shellfish. Allergies to fruits and vegetables are much less common and usually less severe. Allergy to cow’s milk is among the most common hypersensitivity in young children, probably because it is the first foreign protein that many infants ingest in such a large quantity, especially if they are bottle-fed. If there is a cow’s-milk allergy, occasionally even a breastfed infant may have colic or eczema until milk and dairy foods are eliminated from the mother’s diet. Between 2 and 3 out of every 100 children younger than 3 years have allergy symptoms linked to cow’s milk. Vomiting after feeding is the most common way a child shows a milk allergy, but more severe reactions can occur. Colic, crying, and gassiness can sometimes be the only manifestation of cow’s-milk allergy in very young infants. (It must be said, though, that in the great majority of infants, no cause for colic is ever found, and the inconsolable crying eventually stops without treatment, never to return, before the baby is 6 months old). Other early and more subtle symptoms of milk allergy often involve the itchy, dry rash of eczema (atopic dermatitis). Of course the most obvious kind of reaction to milk is when the child drinks milk or eats a milk product and immediately develops breathing problems or hives. Most children with cow’s-milk allergy are also allergic to milk from goats or sheep, so these are not good substitutes. Soy-based formula may or may not be suitable for milk-allergic infants because some who are sensitive to cow’s milk are also unable to tolerate soy protein. If your cow’s-milk–allergic baby does not tolerate soy formula, your pediatrician may recommend a special formula made of extensively hydrolyzed protein or an amino acid elemental formula. Many children outgrow milk allergy as their immune systems mature. However, your pediatrician will probably suggest that allergy tests be performed before your child tries milk again. If testing shows the allergy has gone away, milk can be cautiously given to your child in gradually increasing amounts in the doctor’s office, where any reaction can be monitored and if necessary, treated. If your child simply has lactose intolerance, allergy testing is usually unnecessary, and milk and milk products can be gradually reintroduced at home while you watch for symptoms. In supermarkets, there are products with varying reduced content of the sugar lactose that help children with lactose intolerance to be able to have milk in their diet. Milk and foods derived from milk are important sources of calcium, a mineral essential for strong bones and teeth, muscle and nerve function, and the health of every system in the body. Dark-green leafy vegetables, canned fish eaten with the bones (eg, sardines, salmon), calcium-fortified orange juice, dried figs and prunes, tofu, and dried beans are among the many rich nondairy sources of calcium for older children who cannot tolerate milk, cheese, and yogurt. Children who are allergic to eggs are reacting primarily to the protein in the egg white. However, because egg yolk can often be contaminated with egg white, it’s safer for egg-allergic children to avoid egg altogether. Luckily, while eggs are nutritionally valuable and an excellent source of protein, they are not essential for good nutrition. Meat, fish, dairy products, grains, and legumes are excellent alternative sources of similar protein, minerals, and vitamins. If your child is allergic to eggs, watch out for hidden egg ingredients such as an egg-based glaze on top of certain breads or egg used to hold breading on fried food. Egg substitutes developed for low-cholesterol diets cannot be used. They are cholesterol-free (because they do not contain yolk, the part of the egg where the cholesterol is found) but still contain egg protein because they are made with egg white, the part responsible for causing allergies. Some vaccines may contain egg proteins and should be avoided or taken with caution by those with severe egg allergy. The measles-mumps-rubella vaccine is considered safe for those with egg allergy, but talk to your doctor about seasonal influenza vaccines and others that may have egg proteins. When is a nut not a nut? When it’s a legume—like peanuts, which are cousins to peas and beans. Because peanuts and tree nuts come from different plant families, a child who is sensitive to peanuts can often eat walnuts, pecans, and other tree nuts without a problem. However, caution is needed because peanut-allergic children, for unknown reasons, are more likely also to have a separate tree-nut allergy. Like eggs, peanuts are delicious and nutritious but not essential for a healthy diet. No nutritional substitutes are needed. Most people with a peanut allergy tolerate other legumes such as soy and beans, even when sometimes skin or blood tests will come up positive for these other legumes. Peanuts, although generally pretty easy to avoid, can sometimes show up in foods when least expected. Peanuts are often ground up and used as bulking agents in food products such as candies. Peanut butter is sometimes used by restaurants and caterers as a “glue” in food preparation to hold the food item together. Therefore, it is imperative that you not only read labels carefully to make sure peanuts are not unsuspected ingredients in commercial foods, but that you also question and clarify the content of food being bought and eaten at restaurants, or prepared and consumed at locations other than your own house. Allergy to tree nuts—walnuts, pecans, cashews, Brazil nuts, almonds, hazel nuts; all the nuts in hard shells—can be as severe as peanut allergy, and the same warnings apply. One child may have an allergy to only one tree nut, while another may have an allergy to a number of tree nuts. Confusion can sometimes occur about the different types of tree nuts, so tree-nut–allergic individuals often just stay away from all of them, to play it safe. Make care-givers, teachers, friends, and family members aware that your child must strictly avoid all products with even a trace of nuts and peanuts because nut allergy, in general, is the most severe of all the food allergies. Babies fed soy formula, like that of cow’s milk, can develop a rash, runny nose, wheezing, diarrhea, or vomiting from allergy to the soy protein. When changing to a soy formula, some infants who are allergic to cow’s milk are found to also be allergic to soy. If this is the case, your pediatrician may recommend a low-allergenic formula made with extensively hydrolyzed protein or amino acid elemental formula. Children with soy allergy generally tolerate soy oil because it contains minimal protein. Soy lecithin is a fatty derivative of soy that is extremely low in soy protein and usually tolerated by those with a soy allergy. Rice and oats are usually the first cereals introduced into the diet because they are less likely than other grains to cause allergy problems. If there are no problems with oats, wheat is given next. Wheat is the grain most often associated with allergies, but even so, it is still an uncommon food allergy. This is fortunate because wheat is found in so many prepared foods. There are 2 types of negative immune reactions to wheat. The first is classic food allergy, with symptoms such as hives or wheezing that occur immediately after the child eats a food made with wheat. The second is called celiac disease. Gluten is a protein found in grains such as wheat, rye, and barley. In a sensitive child, gluten damages the lining of the small intestine and interferes with nutrient absorption. This damage can go undetected for some time. Typical symptoms of celiac disease are abdominal pain, diarrhea, irritability, poor weight gain, and slow growth. Celiac disease may reveal itself shortly after the infant has his first bowl of cereal, but in some cases, symptoms are so minor that the condition can smolder at a low level for years and a diagnosis may not be made until adolescence or even adulthood. If your child has symptoms indicating allergy after being given a particular food, keep it out of the diet and discuss the symptoms with your pediatrician. Some children with milk or egg allergy may tolerate a small amount of milk or egg if it is cooked into a baked good such as bread or a muffin. However, other children react to even this small, extensively heated amount. 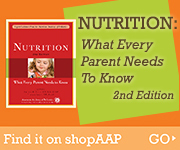 A child avoiding multiple foods because of food allergy could be at risk of malnutrition. Discuss seeing a registered dietitian with your doctor, to be able to get some expert help about how to wisely feed your child who has significant dietary restrictions. Your child with a food allergy should be able to do every activity another child can do except eat the food to which she is allergic. Talk with your pediatrician or allergist about allergen avoidance, as well as dietary and treatment strategies to maintain a safe and healthy lifestyle.